Welcome to Cars and Coffee Pensacola. Cars and Coffee is dedicated to the car enthusiast. Cars and Coffee is where thousands of proud drivers across the globe congregate at Cars and Coffee shows near their home town to kick tires and have a cup of coffee. There is something for everyone to enjoy; classics, exotics, concepts, hotrods, motorcycles and motor-sport. All are welcome. Starting about 8 AM on the 4th Saturday of each month Cars & Coffee folks congregate at Gander Outdoors, 1220 Airport Blvd. in Pensacola. 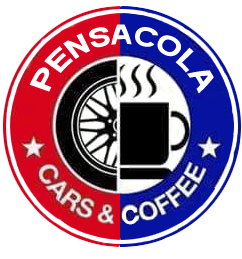 For more information, please check out the Pensacola Cars & Coffee Facebook page.